‘The Adventurous Four’ was a story I wrote and illustrated when I was ten years old, still at junior school. Very much influenced by Enid Blyton, as you might gather from the title. As far as I can remember it concerned a dastardly gang who were smuggling drugs upstream in the bellies of spawning salmon. I later learned that the story had stayed on the school library shelves for quite a few years after I had left, although I never saw it again and it must be long gone now. It was significant in that the idea of writing and illustrating stories was a seed already planted when I was later wondering what to do with my life. I spent five years at Art College – 2 years Foundation at Yeovil, and a 3 year Vocational Course at Taunton. We covered all aspects of art and design – sculpture, ceramics, letterpress, litho printing, etching, photography, life drawing, and painting. I ended up specialising in illustration, which was considered to be the top area. ‘If you can draw you do Illustration,’ we used to say. ‘But if you can’t, then you do Fine Art’. This was a terrible slur on fine artists, but it’s a prejudice I’ve never quite shaken off. I really don’t know what I’d have done, other than go to art college. Perhaps something to do with mechanics or engineering. I was never an academic, so no university would have had me. Like most paper engineers, I’m self taught. You can learn some basics just by looking at what’s already been done, then if you have an aptitude for it you can begin to develop your own ideas and mechanisms. A lot of this developmental stage is down to experimentation – seeing what works, how it works, why it works, or why it doesn’t. But as well as the inventive side of the process you also you need to be able to make accurate engineering drawings. 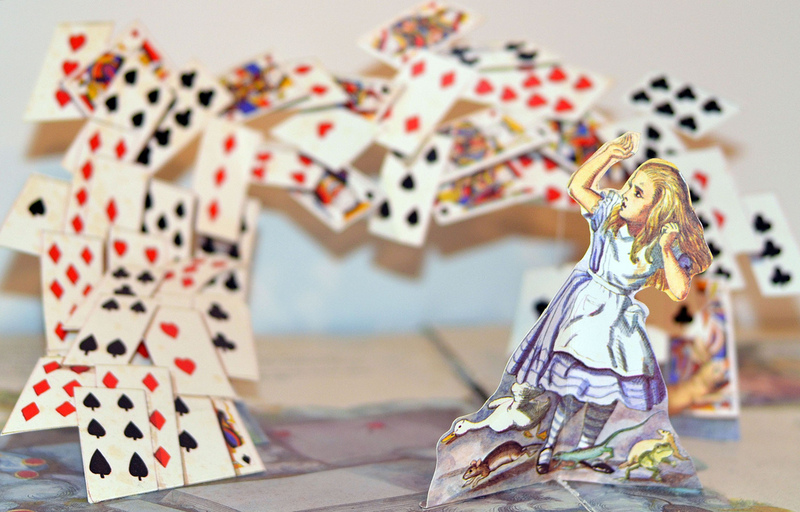 The parts of a pop-up book are all stamped out of one sheet, and then assembled by hand. And pricing is a huge factor. Any paper engineer worthy of the name can make wonderful things happen with bits of card. But you need to be able to do it for tuppence. It’s not easy! I got into it because I was asked to. Sometime during the early seventies Jan Pienkowski brought out a book called Haunted House, which was very successful. My then publisher, Andre Deutsch, knew I was interested in things mechanical, and asked if I fancied trying my hand at a pop-up book. We developed a project that in hindsight was far too ambitious for its time. The book had batteries in the spine, with wires running between the pages to lights and buzzers and Lord knows what. We sent it out to Hong Kong to get it costed, but it was much too expensive to produce commercially, and so it never got off the ground. Later, with improved technology, we began to see electrical pop up cards coming out of Hong Kong. I still maintain it was my idea! So I was disheartened by my early attempt at breaking into paper engineering. But a few years after that another publisher, Mathew Price, was looking for a paper engineer. He knew I’d dabbled with it in the past and asked if I’d take a look at an idea that he and his editor had been working on. Together we produced Tractor Factory, which went on to do very well. I’ve lost count of how many pop-ups I’ve done since. One of the last ones was with Jan Pienkowski, whose work had inspired me in the first place. 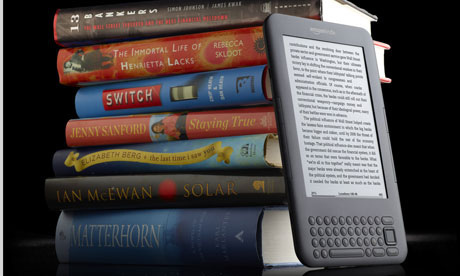 I have to look at Kindles, or e-readers, from two distinct viewpoints: that of both reader and writer. As a reader I feel no particular desire to own a Kindle. I see the advantages of being able to store a massive amount of reading material on one device, and for those with impaired eyesight they’re undoubtedly a boon – in fact we bought one for my mother last Christmas, and it has meant that she can increase the font size and so no longer has to struggle with magnifying glasses and the like. Brilliant. But until my own eyesight begins to fail I’m unlikely to be interested. Storage is no great issue for me, and having examined various e-readers I still feel that I would prefer to be holding an actual book in my hands. I love books as objects, and part of the enjoyment of reading comes from the touch and smell and look of the book itself. As a writer, I’m happy to embrace and promote any technology that is likely to bring new readers to my work, so of course I have no professional objections. Quite how this new technology will affect the publishing industry in the long term remains to be seen. Similarly e-books don’t interest me as a reader. Many e-books are self-published and usually suffer from a lack of proper editorial input, so the standard of writing can be very mixed. It takes more than just the author to produce a good book, and I’d rather pay money for something that has involved a professional support team along the way. I have years of reading material piled up awaiting my attention. When I’m writing I tend to avoid reading in order to avoid outside influences, and when I’m not writing I tend to avoid reading because it makes me guilty about not writing! I use my blog as a kind of jotter or notepad, a record of odds and ends, thoughts, absurdities. Mine currently looks rather neglected in that I haven’t posted anything for a while, but that doesn’t really matter. It’s not intended to be a proper diary, nor do I regard it as a promotional tool. 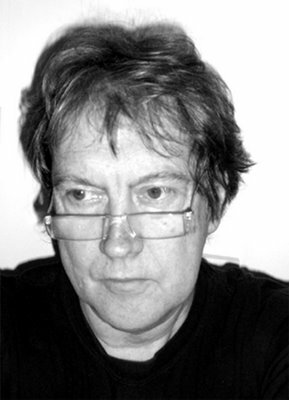 I veer between the blog and Facebook, where I’m currently beginning to put together some albums of photos and artwork. I haven’t yet got into Twitter or tweeting, or Foursquare. How many more ways do I need of communicating? You can find out more about Steve on his website, and pick up The Touchstone Trilogy (comprising The Various, Celandine and Winter Wood) and Xisle – fantasy books for children – in your local book shop or library. Or borrow them off me.